An affordable development of 5 houses, 3 bungalows and 4 flats on the site of a former cottage hospital in Kingston, Herefordshire. The dwellings have been arranged in an informal grouping around two courtyards that reflect the ad hoc nature of rural developments. The houses are grouped according to their proposed forms of tenure, with shared ownership housing around one courtyard, and housing for affordable rent around the other. 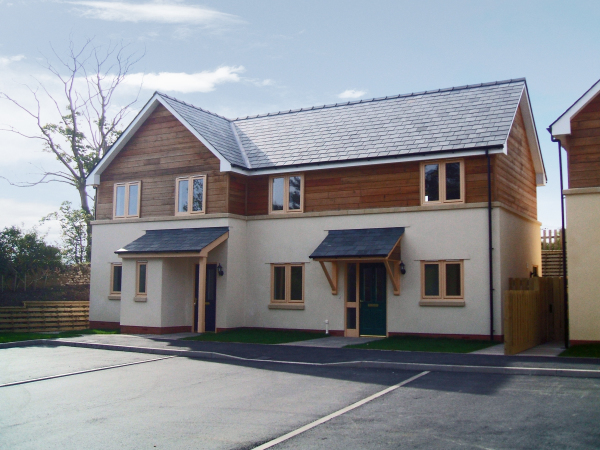 The housing take on a rural appearance with self-coloured render walls with high level cladding in unfinished larch boarding and natural slate roofs. 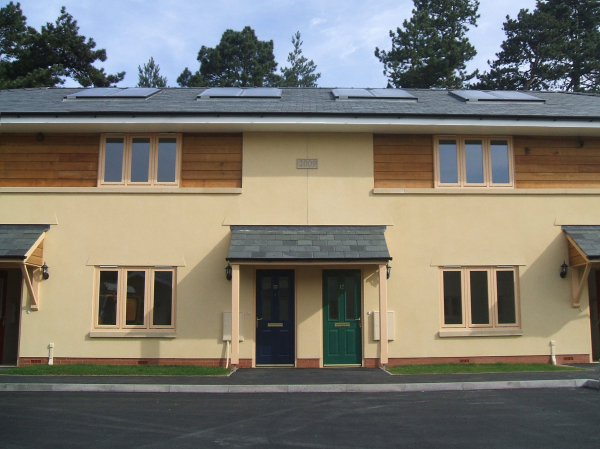 Houses are designed to Lifetime Homes standard, and Code for Sustainable Homes level 3, with solar thermal panels and air source heat pumps. 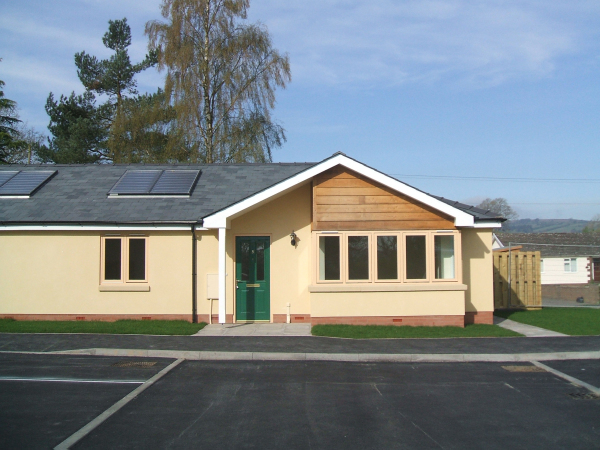 The 4 bungalows are designed for occupation by elderly couples, with a second bedroom for family visitors. Kitchens and bathrooms are set out to wheelchair accessible space standards.